This book and CD set features 16 challenging original tunes in funk/fusion style by renowned Australian guitarist Peter O'Mara. Patrick Scales adds his ideas on musical interpretation to give the aspiring bassist an insight into creative process from a professional's point of view. The tunes cover a variety of tempos and grooves and are presented using a real rhythm section: Patrick Scales, Christian Lettner and Peter O'Mara (from Klaus Doldinger's Passport). The audio play-along tracks are presented in an order of increasing complexity. CD 1 contains complete recordings of all instruments so that you can hear each instrument working together. 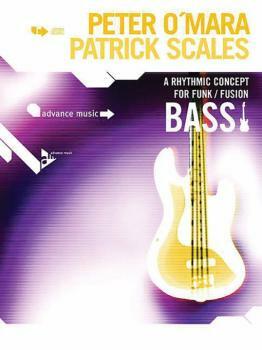 CD 2 omits all bass tracks so that you can play along with the rhythm section and also create your own bass lines. MIDI files of all compositions are also included. Also available are editions for guitar, by Peter, and drums, by Peter O'Mara and Christian Lettner. The books are fully compatible and can be used in a combo setting.